The Subcom Folder Rescue Blade from Boker Plus is super compact with a blade less than 2" in length. But don't underestimate the functionality of power of this compact knife! 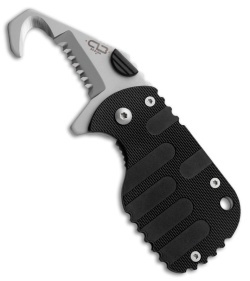 The blade is AUS-8 stainless steel (bead blast) and features ambidextrous thumb studs. 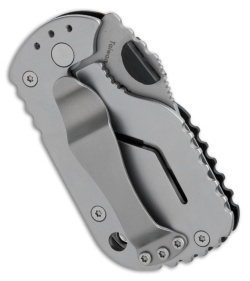 The rescue design is excellent for cutting seatbelts, rope and more. The Subcom F handle is black fiberglass-reinforced nylon and has palm index ramps (a fancy way of saying "texture") to help with grip. A pocket clip makes carry easy and also works as a money clip. Designed by Chad Los Banos of Hilo, Hawaii.